Phil Hamlett is the Director of the School of Graphic Design at the Academy of Art University in San Francisco, one of the largest private art and design schools in the country. In this setting, he teaches classes, develops curriculum, recruits and manages instructors, advises students, manages the graduate thesis development process, conducts outreach and establishes the strategic agenda for the School. His students emerge as advanced design practitioners and go on to acquire positions at leading studios and companies around the world. Phil joined the Academy in 2004 and served for thirteen years as the Graduate Director for the School of Graphic Design, building the nascent MFA program from scratch. 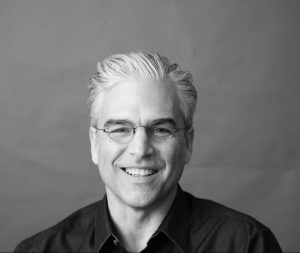 Phil is a past president of the AIGA San Francisco chapter and continues to serve on the executive board. He is also a former AIGA national board member, founder of Compostmodern and co-author of the Living Principles for Design — the means by which he guides the development of sustainable business practice within the design community As a charter member of the Winterhouse Institute Founder’s Circle, he helps articulate the value of design education for social impact.